this album starts off with the song “shadow”. its very catchy intro and keyboard bits throughout the song will get you in the mood to dance. she follows this with some demos of songs off of her other albums such as “asleep” and “fun”. if you are unfamiliar with bulldog eyes, this could be a nice place to start. combining fuzzy guitar riffs and soft synth tones, harmonizing naturally with her own voice, uzoma is a very great influence to many in the “bedroom pop” scene. “ok” is the song i always want to have on my “favorite songs of all time” list. it makes me feel warm inside, making me think about friends and my life while singing along very loudly in the car with the windows down. novel reminds me of the times i sat on the bus home after school thinking about my future. it’s just something about letting go. the tape features a white shell, light purple-grey gradient for the labels, with a matching color scheme for the j-card. the j-card itself is printed on nice smooth paper. 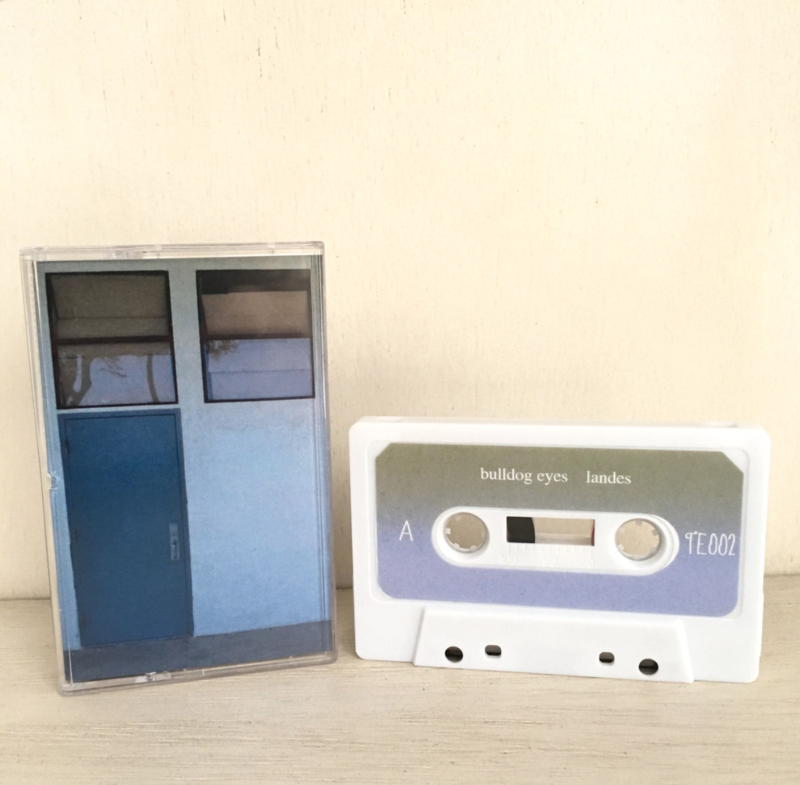 this album was originally released in 2016.
the cassette is available from temporary enjoyment (also, they’re the source of the photo in this review).